The following statement of Humasnism was adapted from a definition of atheism referenced on the American Atheists website. Humanists love mankind and our universe, and believe that heaven is something for which we should work now – here on earth for all people together to enjoy. Humanists believe that they can get no help from supernatural sources, but that they must find in themselves, with the support of others, the inner conviction and strength to meet life, to enjoy it, and to grapple with its problems and solve them. Humanists believe that only in self knowledge, knowledge of our earthly home, and knowledge of humanity can people find the understanding that will help them to live a life of fulfillment. We seek to know ourselves, our world, and our fellow man rather than to know a god. We believe that a hospital should be built instead of a church. We believe that a deed must be done instead of a prayer said. A Humanist strives for involvement in life and not escape into death. 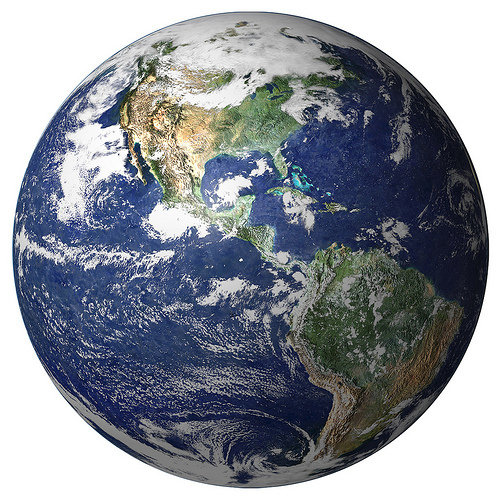 We want disease conquered, poverty vanquished, war eliminated, and clean air, water, and earth for all. We want people to understand and love others. We want an ethical, sustainable way of life. We believe that we cannot rely on a god or channel action into prayer nor hope for an end of troubles in a hereafter. We believe that we are our brother's keepers, are keepers of our own lives, and are guardians of our shared earth; that we are responsible persons and the job is here and the time is now. 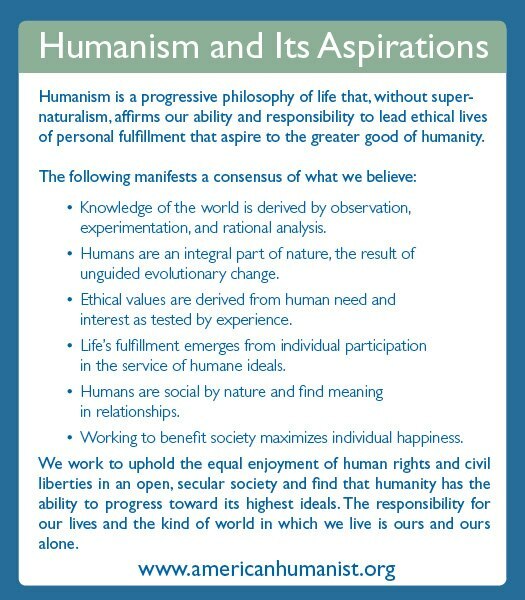 For the full, "official" statement of the Humanist lifestance, see Humanism and Its Aspirations: Humanist Manifesto III. You can read more about what Humanism is on the American Humanist Association's What is Humanism? page.